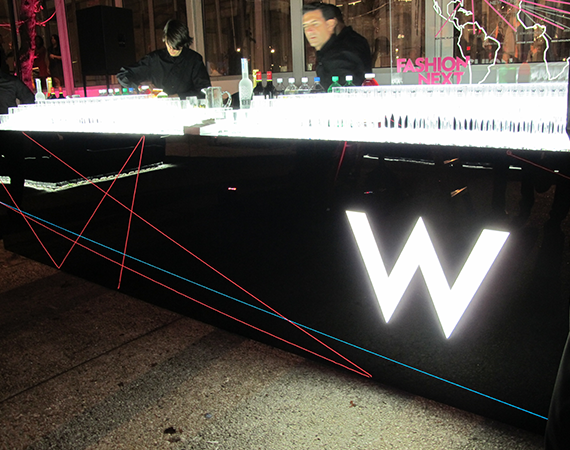 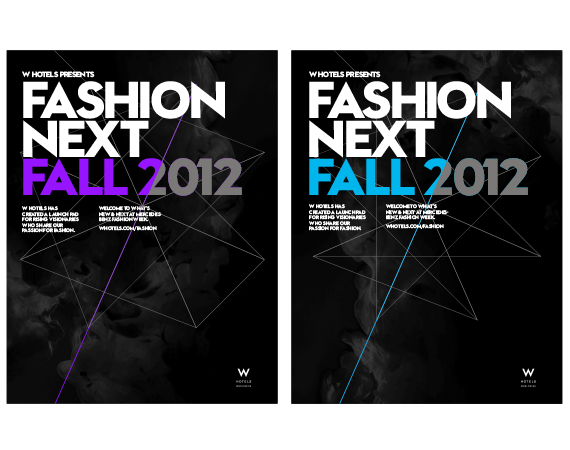 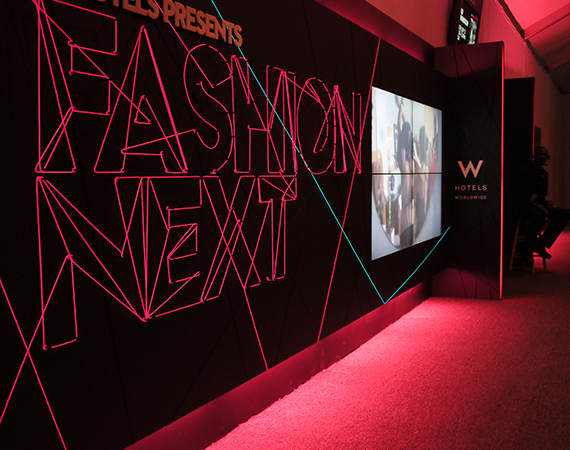 For 2012 W Hotels would once again sponsor New York Fashion Week, with their unique "The Box" presentation space, giving designers a venue to showcase their collections, a communication platform through which to promote their collections and business and the opportunity to showcase their collections around the country through Fashion Next events. 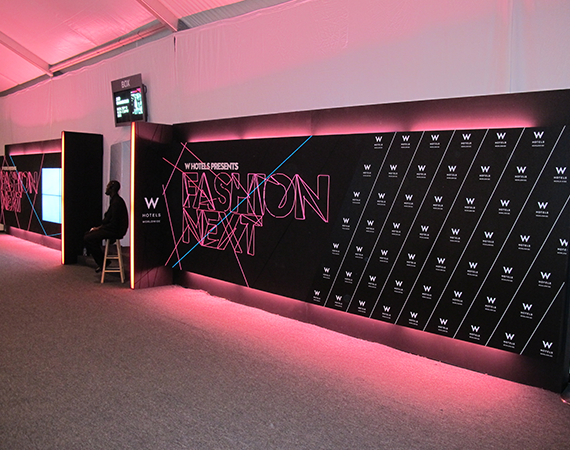 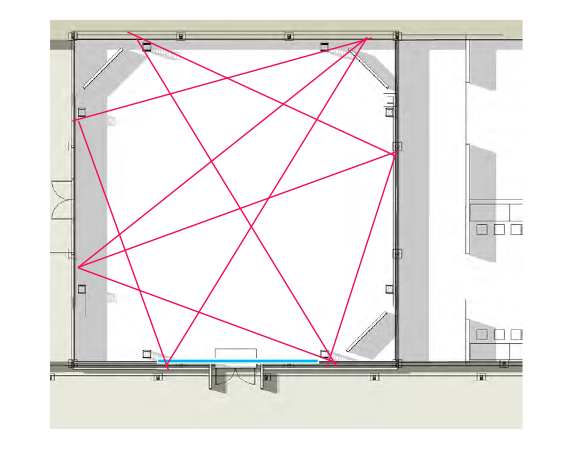 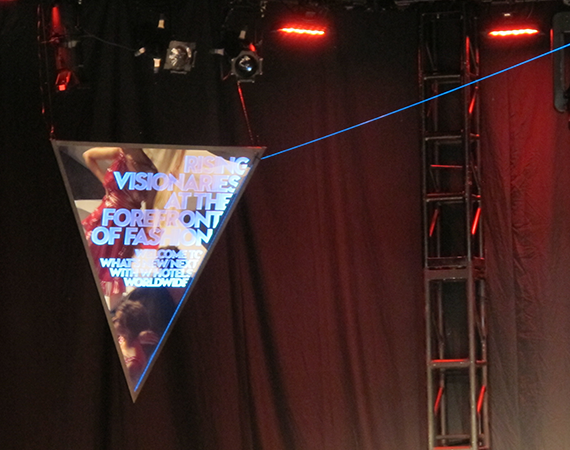 The environmental design featured an overhead four-sided screen that allowed images to be viewed both on the inside and outside with an accompanying sound system that allowed designers to display their reels as their shows went live. 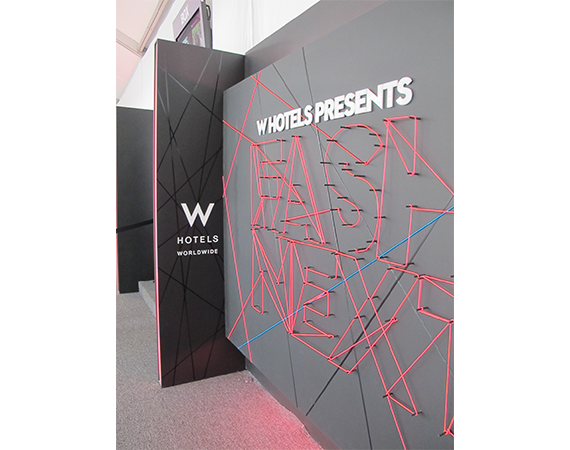 Additionally outside the space, flanking both sides of the entrance was a new version of the custom graphic wall from the previous season to welcome show attendees. 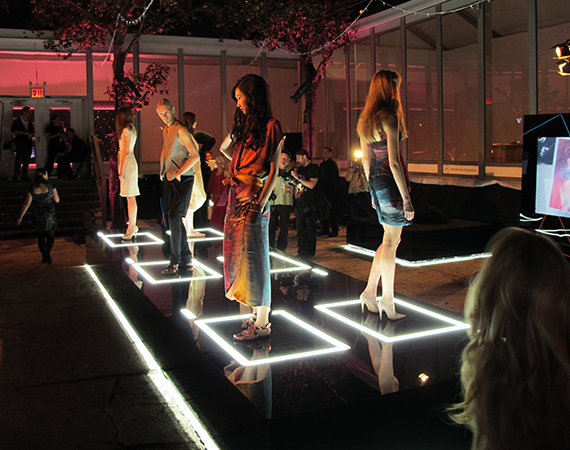 For the the first time there was also an outdoor exhibition in the courtyard across from the entrance to the Fashion Next presentation space.